On August 3rd, 2009, over 140 of us will be returning from Cuba-without a government license-in defiance of the travel restrictions and economic embargo that our government has imposed on that nation for close to 50 years. For the past half-century, the United States has pursued a policy implemented with the explicit purpose of making the Cuban people suffer to such an extent that they-out of misery and poverty-overthrow their government. The Cuban people can no longer be collateral damage for an outdated foreign policy. We reject such hostilities, and call for your administration to realize its own pledges for a more diplomatic and humane U.S. that respects the sovereignty of other nations. We strongly urge you to take meaningful steps towards ending the economic embargo and lifting all travel restrictions to Cuba for all U.S. citizens and residents. Many of us identify with the philosophical principle that you were elected on-a platform of change-and that is our incentive towards contacting you. At this historical moment, your administration has the opportunity to start that new beginning you mentioned the U.S. was seeking. We agree and call for more engagement. .
We are students, teachers, medical personnel, autoworkers, social workers, artists, professors, lawyers and community organizers, among other occupations. We are an intergenerational group of different races, ethnicities, sexes, and sexual orientations, and are traveling from throughout the U.S. We will be doing volunteer work (in the past 40 years, this has varied from sugar cane harvests to painting neighborhood hospitals to renovating schools) and meeting with Cubans throughout the island (from rappers to hurricane relief workers to those fighting for LGBT equality to the Federation of Cuban Women); opening up engagement and dialogue among both people while exercising our constitutional right to travel. This is what unites us: our affirmation of our constitutional right to travel, solidarity with the Cuban people, and an absolute condemnation of a foreign policy that has used the Cuban people’s suffering as a political pawn, blocking off engagement between both countries. The time for rectifying U.S. foreign policy towards Cuba is past due. Your administration has recently taken steps towards dialogue with Cuba. There is bipartisan support in both houses of Congress for further opening. The majority of the U.S. population-including Cuban Americans-is in favor of these measures. In addition, congressional momentum towards easing the embargo has been in line with the expansion of internet-based technologies within Cuba, as well as economic benefits for the U.S., particularly for the agricultural industry and small, minority- and women-owned businesses. Furthermore, the very constitutionality of the travel restrictions, a means of enforcing the embargo, will soon be challenged in our federal courts. In Cuba, the highest-ranking leadership has repeatedly expressed its willingness to discuss any topic-even offering to release all individuals the U.S. considers political prisoners. In just the past few years, there have been new, developing social and cultural spaces where political critiques are being expressed-independently-by Cubans themselves. These have been accompanied by several deregulatory measures by the new President there. Internationally, U.S. foreign policy towards Cuba is overwhelmingly denounced. From the U.N General Assembly condemning the embargo for 17 consecutive years to the Organization of American States (OAS) recently deciding to rectify the act of excluding Cuba, the international community has clearly called for a multilateral approach that includes-not isolates-Cuba. Thus, the question is not why we should lift the embargo-with the travel restrictions as part of their enforcement-but why is it still in place? Such a justification is inconsistent with our constitutional rights, your electoral pledge for foreign relations based on respect and equality and the most decent, humanitarian sentiments of the U.S. people. Such sentiments require an opening of exchange, an end to the embargo and all other acts against Cuba, including the incarceration of the 5 Cuban patriots-sent here to cooperate with the U.S. government against terrorism-whom you can, and should free through a presidential pardon. Therefore, we ask that you-with your authority as President-transcend the old, stalled politics of yesterday. We urge you to support lifting the travel restrictions for all U.S. citizens and residents, and take serious steps towards ending the economic embargo on Cuba. Only then can a new beginning begin, where the U.S. and Cuba lay the foundation for a relationship based on friendship and mutual respect. 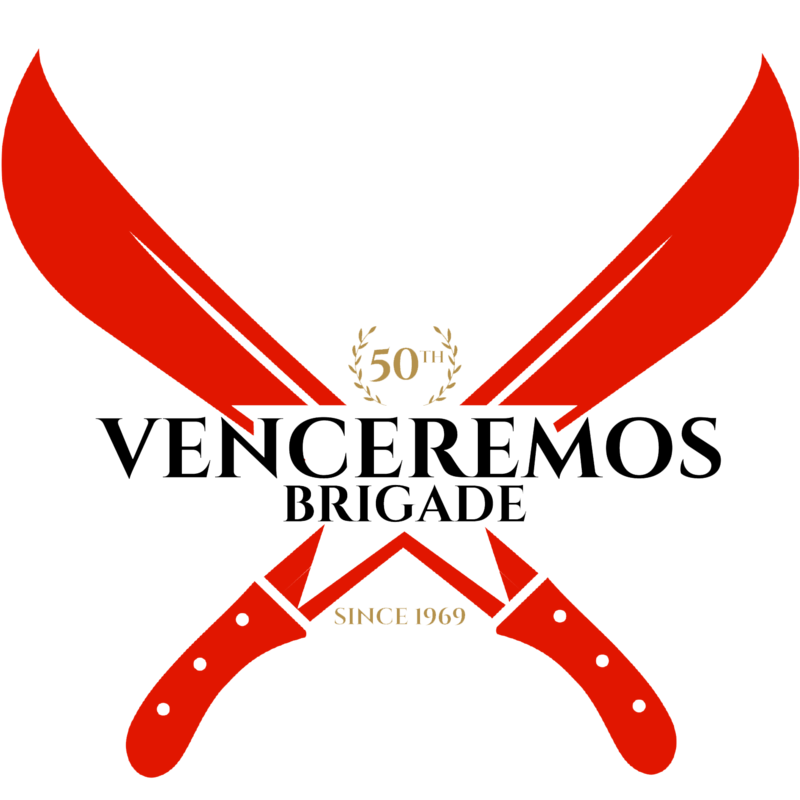 Until then, we will travel to Cuba as the 40th contingent of the Venceremos Brigade, demanding a U.S. foreign policy that respects our rights and our sentiments towards the Cuban people.